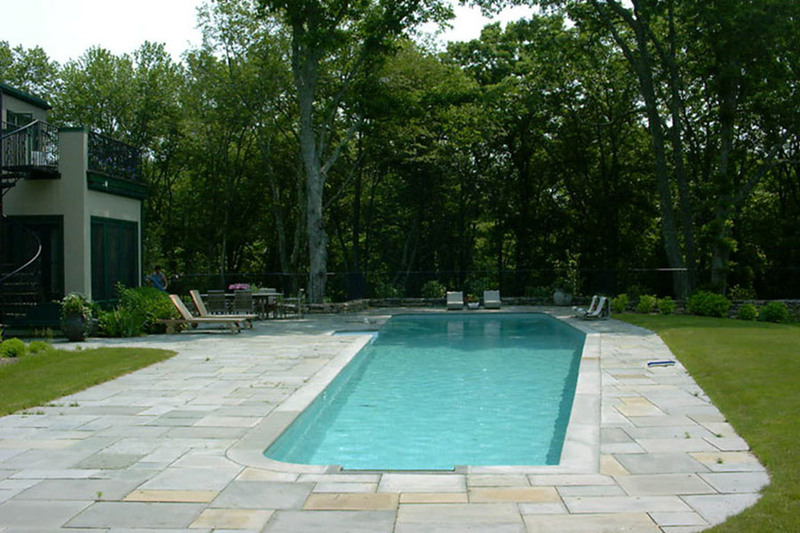 The residence was set in from the road down a lengthy driveway that was landscaped with native plantings as were the areas surrounding the house and pool. An orchard was designed to take advantage of a natural open clearing in the woods, the fruit trees protected from deer via means of fencing. The swimming pool is an Olympic-length lap pool to allow the client to practice her swimming technique. The shallow end of the pool also has a secure area for her child to play. 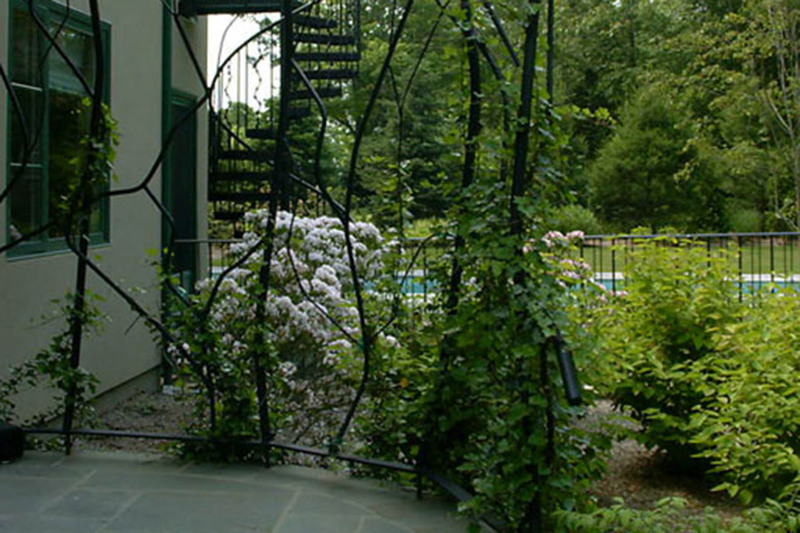 The front entrance has a landing of native bluestone with railings constructed of cast iron in a custom “web-like” design created by the owner. 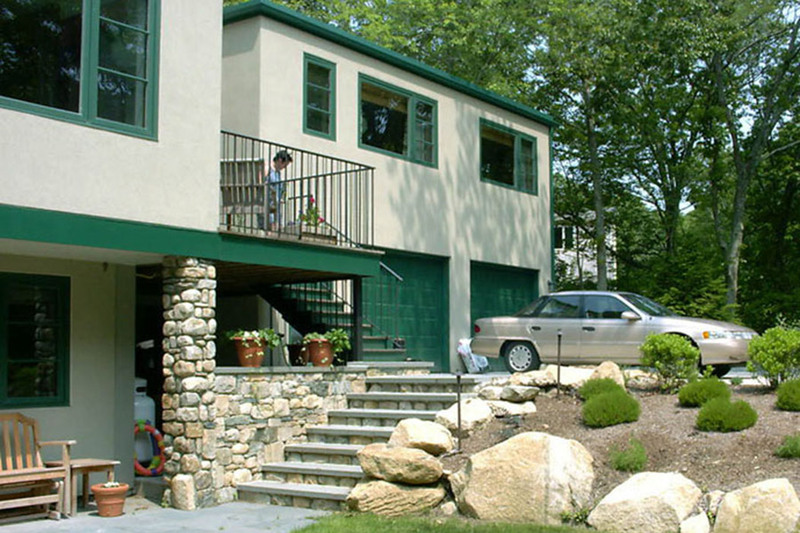 The boulders from site excavation were utilized to create retaining walls in sloped planting areas in the backyard as well as being placed strategically in areas within the woods.